If you’re going to work in food service management, you’re going to spend some time hiring. OK, you’re probably going to spend a lot of time hiring, and the most effective way to reduce these constant hiring requirements is to knock as many of your new hires out of the park as you can. It all starts with the resume review and interviewing process. When looking over resumes, veterans with five-plus years experience can be naturally attractive, but you might not see many of them. Instead, many candidates will be coming to you with little work experience or for their first job. Here are some ways you can find the best employees through that initial resume search and interview. Enthusiasm makes our list as the first thing you should look for in a new employee because this trait really supports so many other things. Your employees, particularly your front-of-the-house employees, are the face of your company to your customers. You want that face to be as happy and personable as possible, right? You should be able to get a feel for the employee’s enthusiasm during the interview. If they get you more excited about coming to work, hire them on the spot. Another must for any new hire. The food service business can be a roller coaster at times and you need employees who can help the team along for the ride. Whether it’s picking up an extra shift, staying late to help a fellow employee or taking on extra work, team players are invaluable. Ask about this during the interview and look for employees who have been involved in team-based activities — like sports — outside of work. Commitment to safety and hygiene. 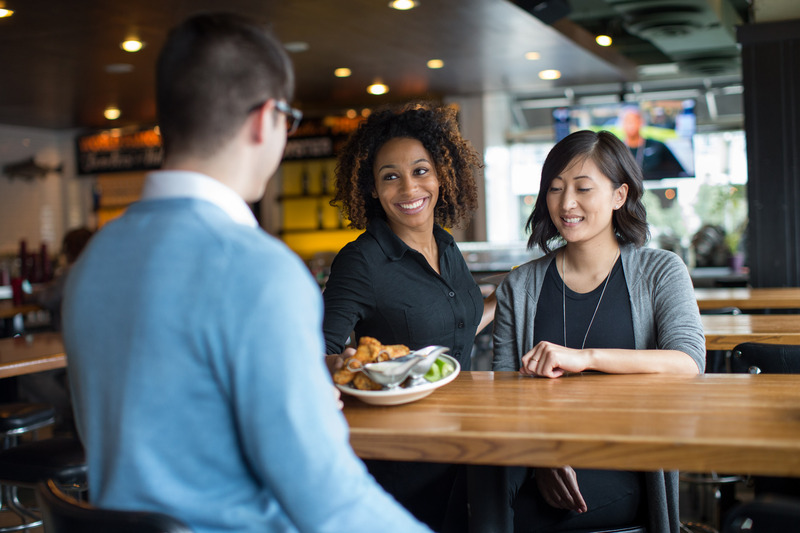 While important in any company, these ideals are especially important in food service. You need to know that employees will do their best not only to uphold the image of your business but also protect its sanitary requirements and the safety of themselves and their fellow coworkers. Any skill can be taught, but you need employees who will value safety and hygiene each day. Whether it’s mixing drinks, garnishing plates or prepping food in the back of the house, your menu’s flavor and your business’s bottom line depend on the proper measurement of exact ingredients. A well-written resume — free of typos — can give you insight into a candidate’s ability in this regard. You can also ask them to provide examples of how they deliver according to specifications during the interview. Monotony will never be a word used to describe food service. There are always two, three, four or seven tasks that need juggling. Whether it’s watching 10 different orders on the grill or managing a whole series of tables, you need employees who can successfully handle multiple projects at the same time. When looking at resumes, look for candidates who have balanced work and school or multiple jobs. Search for candidates with this experience and you stand a better chance of finding those with this trait. Look for leaders, even among those applying for your simplest jobs. Class presidents, team captains and people with past managerial experience all fit the bill here. Leaders lead. They take initiative without direction and offer suggestions on ways to improve the business. They’re hungry to better themselves and may be more likely to stay with your business long-term. Hire a leader and you may just be grooming a future manager to take over all of that new hire interviewing in the years ahead.